From Lucretius throwing a spear beyond the boundary of the universe to Einstein racing against a beam of light, thought experiments stand as a fascinating challenge to the necessity of data in the empirical sciences. Are these experiments, conducted uniquely in our imagination, simply rhetorical devices or communication tools or are they an essential part of scientific practice? 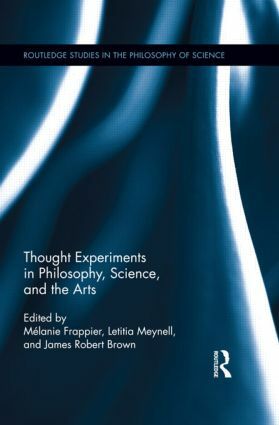 This volume surveys the current state of the debate and explores new avenues of research into the epistemology of thought experiments. Mélanie Frappier is Assistant Professor of Humanities in the Department of History of Science and Technology, University of King’s College, UK. Letitia Meynell is Associate Professor of Philosophy and Gender and Women’s Studies at Dalhousie University, Canada.